To me, CAROLINE DANJUMA was best dressed, Hands Down! Osas gown is lovely,as for fade na she no wetin she wear. Where did you keep MercyGentry? LilianUbi? TokeMakinwa? I prefer what Fade wore than what IniEdo wore. 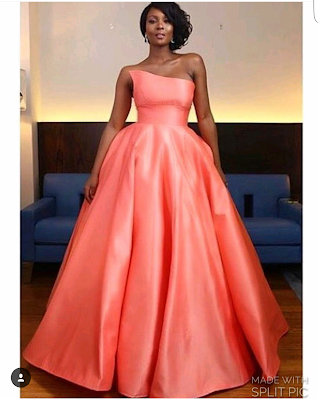 BEAUTIFUL9JADELTABABE.. @ Laura ma judgement: for m the best dress in this 2016 AMVCA goes to MERCY AIGBE GENTRY, Laura forget t nobody beat her in this year award in terms of dressing. 2nd goes to RITA DOMINIC who is always on point and 3rd position goes to LILLIAN UNI FRANKLIN while the 4th position goes to TOYIN AIYEMAKU, 5th goes to MOCHEDA, 6th goes to LAYOLA OYATOGUN. Chijena I rest ma case, ma people do u agreed with me for this? Then for worst dress for m ma judgement: DAKORE EGBUSON AKANDE carried the award for WORST DRESS as in I don't get n don't know who her stylist was but dakore no get t right at all, her outfit looks like what dey use for egunnu and inter house sport relay race lol but not funny at dakore fall ma hand, then anoda worst dress is FADE OGUNRO plz fashion police wia una dey, una need to arrest these babe's dem for dress like assistant house girls fade own I no even know what to say but her dressing no b am at all for this even na zero wey she get. Thanks to u all. Anyway me am Justsayingmaownohh via ma LATEST TECNO F7. I loved osas dress, it was everything. . Fade looked good too but my worst dress goes to ini edition. Like wtf? ?